My introduction to Father Michael E. Gaitley's writing last year was his contribution to Beautiful Mercy edited by Matthew Kelly. Since that time I have read five books by him and plan on reading the rest. His writing style is very engaging. It is easy to read his books, his passion for the subjects of Marian Consecration and Divine Mercy are highly contagious. And in many ways this book is a synthesis of all of his other works. But in this small volume Father Gaitley pack's a lot of punch. 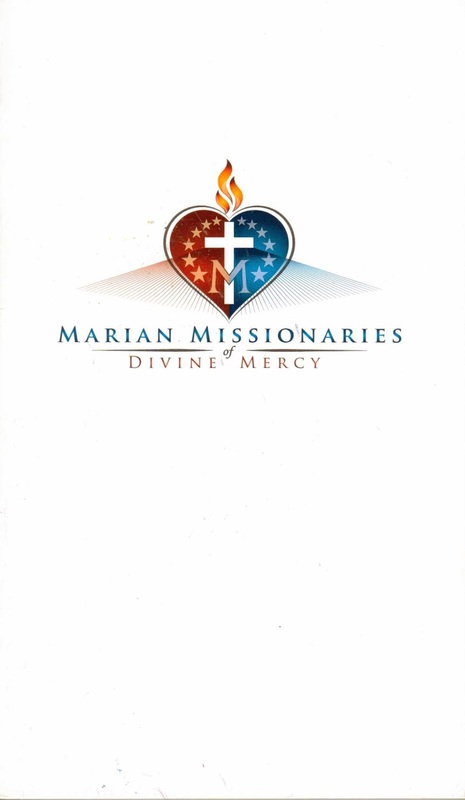 As is obvious by the title the main purpose of the book is as a Missionary Handbook, focusing on the Identify, Spirituality, Missions, Essential Formation, and Plan of Life for the Marian Missionaries of Divine Mercy (MMDM). The book is available for free through their website you just have to pay shipping and handling. This book makes extensive reference to 5 of Michael's other books. It also Focuses on the HAPP Hearts Afire Parish-based Programs. In the introduction Father Gaitley states: "Alright, so whether you've already completed HAPP, read all the books, or are just getting started, whether you're already a Marian Missionary, want to join, or are still thinking about it - this handbook is for you. May it bless you during the present time of mercy for the Church and the world, a time of grace that we'll learn about in Part one." If you are already a fan of Father Gaitley's work you will love this book. If you have not done any of his book or DVD teaching series this book will be an amazing overview of his teachings. Having worked through two of his retreat books with groups I can say that any of his writings will enhance your spiritual life. But this booklet pulls it all together; the key prayers, the Plan of Life, the why. All bound tightly in fewer than 130 pages of text. This book would also be great for anyone wanting a quick overview of Marian Spirituality. 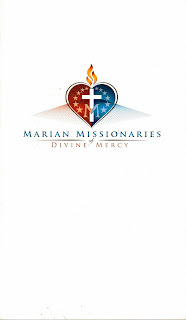 With specific focus on consecration to Mary and the Divine Mercy practice. This is an incredible book and as mentioned you can get it for free! So why would you not give it a read and see what impact it can have on your spiritual life!